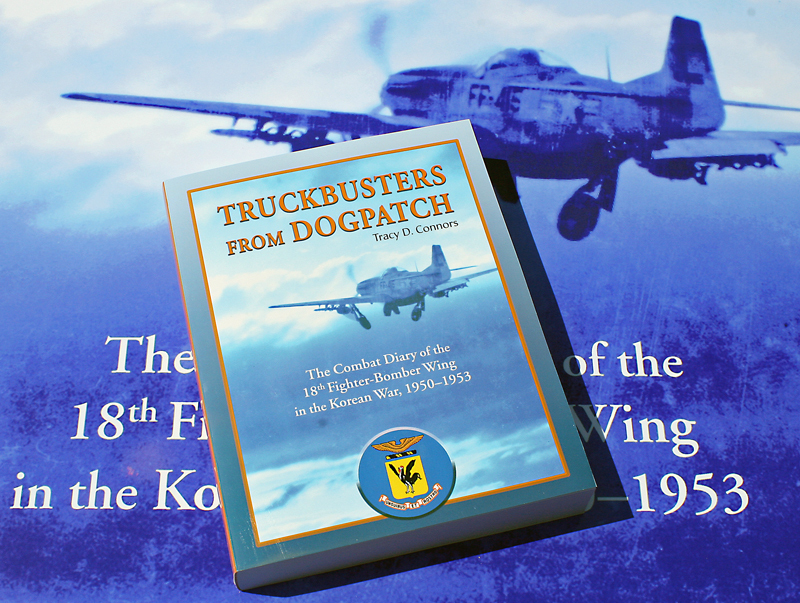 Truckbusters From Dogpatch: The Combat Diary of the 18th Fighter-Bomber Wing in the Korean War, 1950-1953, is perhaps the largest unit history ever published on the so-called “Forgotten War.” Baited Trap, the Ambush of Mission 1890, is the story of the most costly helicopter air rescue mission of the Korean War, and one of the most dary missions in air rescue history. Both books have very special significance for Jacksonville University. The story of a book that one reviewer said he “thought would never be written and that, in fact, could not be written,” began nearly 70 years years ago at Jacksonville Junior College. For most of the Korean War, pilots of the 18th Fighter-Bomber Wing flew the venerable, but aging F-51 “Mustangs.” The cover of Truckbuster From Dogpatch shows one clawing for altitude with a heavy combat load in January 1951. (below) 1st Lt. Archie Connors was lost during a daring, successful but tragic rescue mission in Korea. The story of books that one reviewer said he “thought would never be written and that, in fact, could not be written,” began nearly 70 years years ago at Jacksonville Junior College. JJC Student Council President. 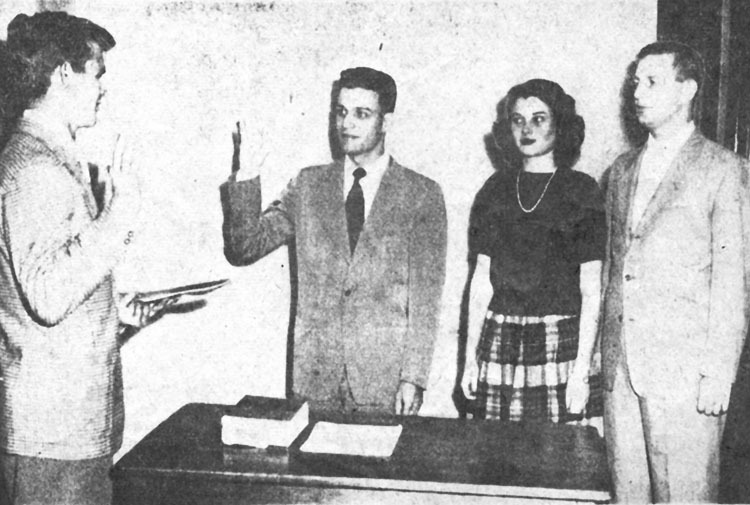 In December, 1948 Archie Connors was elected President of the Jacksonville Junior College Student Council. He installed the new officers of the sophomore class at JJC during ceremonies at the Student Council. Connors (left) inducts Philip Helow, Sophomore Class President, Rosemary McEachern, class secretary, and Shannon Poppell, sophomore vice president. forces. 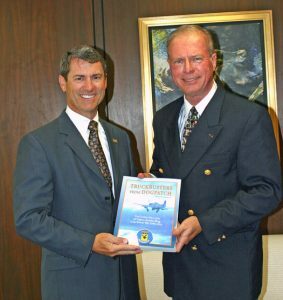 Dr. Connors, now a Gainesville resident, has published 14 management handbooks for not-for-profit organizations. Connors used formerly classified monthly records and reports, plus hundreds of personal recollections and over 1,000 photographs to spotlight and profile the men who actually fought the war. 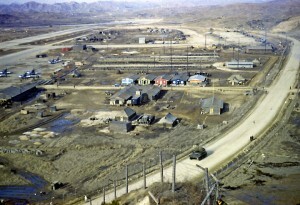 “I wanted Truckbusters to become for the reader a gritty, dusty, tent city full of the sounds, smells and character of those who served with the 18th in Korea—pilots, ammorers, mechanics, clerks, medics, and supply sergeants—who still, live and speak and fret and worry about how to keep that venerable, but out-dated F-51 Mustang “Spam Can” flying,” he explained. 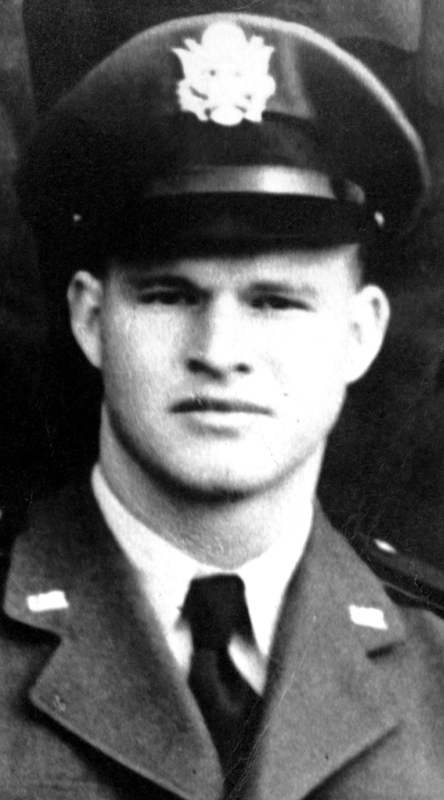 Truckbusters is dedicated to 1st Lt. Archibald “Archie” Connors, President of the JJC Student Council in 1948-49, and CAPT Connors’ uncle–“more like my older brother,” he explained. 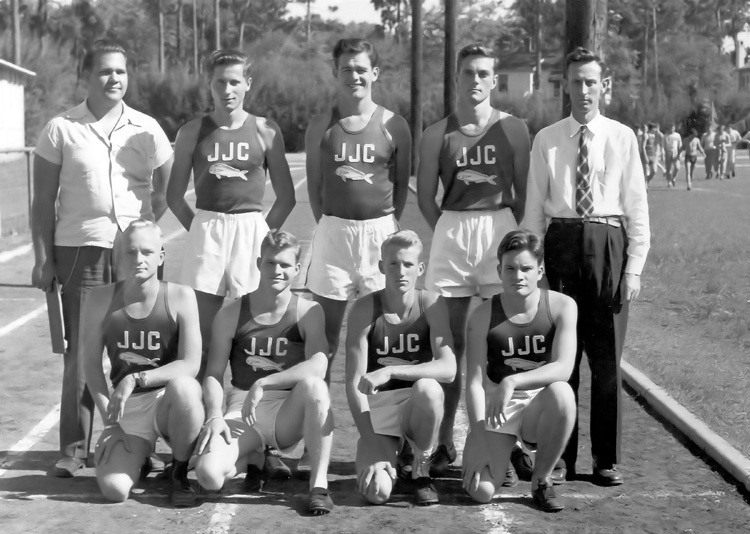 The JJC Track Team for the Florida Relays of 1948. 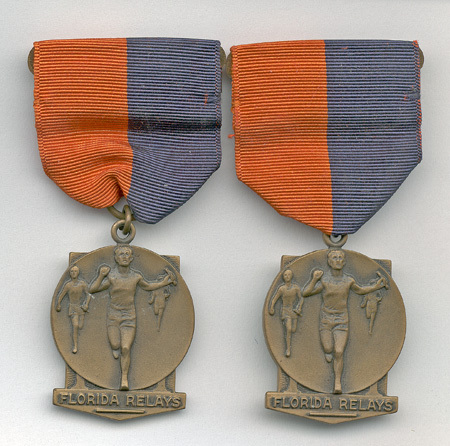 Connors (first row, second from left) brought home medals for the Sprint Medley Relay and the Mile Relay for Freshman and Junior College Class participants. After attending Robert E. Lee High School, serving briefly in the U.S. Navy during WWII, and graduating from JJC as a pre-law student, Connors completed flight training as a U.S. Air Force pilot. He was posted to Korea and the 67th Fighter-Bomber Squadron (a component of the 18th F-B Wing), in late 1951. During a daring rescue mission into the so-called “Iron Triangle” on 25 June 1952, Lt. Connors was killed in action. CAPT Connors’ determination to learn the details of his uncle’s last mission, grew into a comprehensive history of the 18th Wing during the Korean War. Then JU President Dr. Kerry D. Romesburg welcomes a copy of Truckbusters From Dogpatch into the Swisher Library collection from CAPT Tracy D. Connors, who also donated six other management handbooks he has published for not-for-profit organizations and volunteer administration. After three costly attempts to pluck a downed Navy Ensign off the side of a heavily defended mountainside, the helicopter and its escorting Mustang fighter-bombers were successful in rescueing the young pilot. Several miles away however, enemy fire brought down the helicopter. 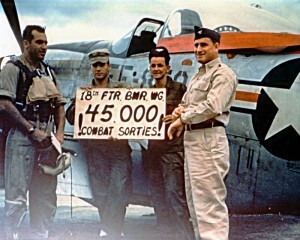 Two of three airmen aboard were killed. Lt. Connors was shot down and killed several minutes later as he made a low level pass over the downed helicopter attempting to provide further protection. One crewman survived 14 months as POW. The Wing’s integrity, professionalism and dedication also contributed significantly to the fledgling Air Force core values so often cited these days, Connors explained. Connors believes strongly that Truckbusters as a story of an embattled American military unit that worked through enormous challenges to achieve military success “is highly relevant to all Americans today. The Korean War is called by some Americans ‘the Forgotten War.’  But not by millions of South Koreans who regained their freedoms, self-determination and future. It’s not called that by the families and friends of those who fought, bled and died there. And, it should not be forgotten by those today who understand the on-going importance of what was achieved by those who struggled there. Our nation owes those who served in Korea a significant debt of gratitude for what they did to protect Freedom. Their deeds and achievements continue to shape the world over half a century later,” he emphasized.